Together with the team of yellow design HOESCH realised an accessories programme that convinces in every respect. Beautiful and useful in every detail. Reduced and pure form, suitable for any bathroom design and combination of materials: black PU foam and waterproof teak wood are really eye-catching. 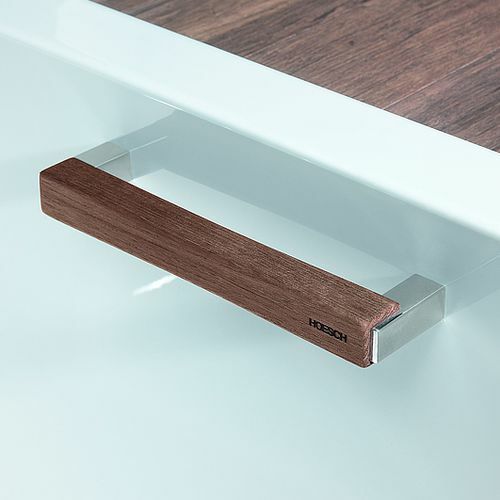 The HOESCH handle, made of waterproof teak wood and chromed elements, is not only looking stylish, but it is also very functional and helps to exit the bathtub. Bathtub grip made of water-resistant teak wood and components in chrome finish.